At the end of February, AdDuplex team packed their suitcases, took an extra pair of t-shirts and sunglasses, and headed towards Barcelona, which seemed like a great destination compared to freezing temperatures back in Lithuania at that time. MWC was great and exhausting. Using a number of wearable devices, we walked over 60 kilometers in 5 days which was not that easy after all the work we mostly do is in our small office. Nonetheless, it was great to be there, be part of the NOKIA Developer Day with our stand and meet a number of you – our friends, colleagues and partners. We had a number of meetings on the side, enjoyed Catalan cuisine and, to top it all off, we have a fantastically good weather. 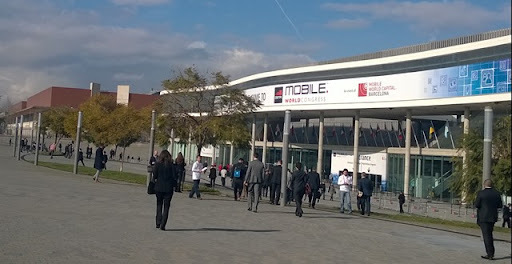 In short, MWC was a great experience despite the enormous scale it has reached over the years. With that in mind, we’d like to thank everyone we met while apologize to those who we did not have time to see. If anything, we will most likely take our suitcases to Barcelona next year! Even though our HQ is only an hour flight away from Moscow, I haven’t been there for more than 20 years. So I’m really grateful to Mik Chernomordikov for inviting me to the App Summit. This was one of the first events exposing the so-called “New Microsoft”. Even though the event was bankrolled and organized by Microsoft, it covered all top 3 mobile platforms and even a representative from Google was part of the keynote and one of the panels. Most likely not going to happen any time soon on a global scale, but still impressive. I’ve participated in a panel discussion on app monetization and you can check the video here provided you understand Russian. 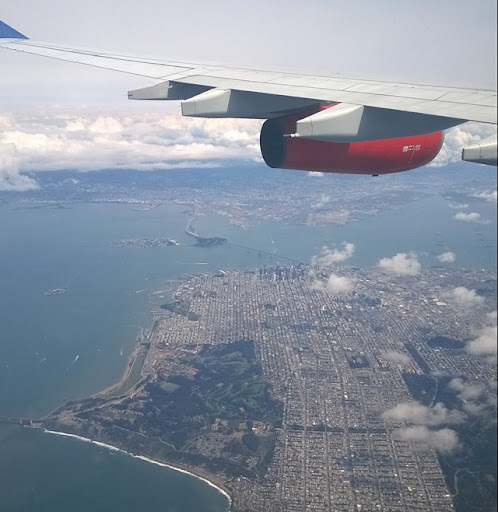 Since our team was in town, we have decided to pay a visit to Ad:tech which took place at the end of March in Moscone Center, downtown San Francisco. Another major event in the advertising industry, a number of great companies exhibiting their services and products to thousands of attendees. Since we only bought the ticket for the expo part, we cannot judge the overall quality of the conference, but only a part of it. Nonetheless, the diversity of companies exhibiting does make this an important industry event. At the same time, due to a high number of different areas covered, this conference loses its importance compared to other, even if smaller, but more specialized events. True, synergies happen between the traditionally unrelated fields, but this time it served more as a drawback rather than benefit. 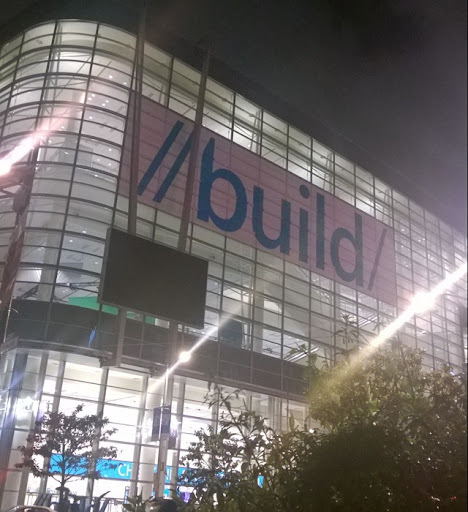 As mentioned in our earlier blogpost, AdDuplex participated at Build in San Francisco at the beginning of April. Thousands of developers and Microsoft fans gathered for a 3-day conference. We did meet a big chunk of people there and chances are you were one of them. It was great to see so many of you, coming from all over the world with, above all, one thing uniting all of you – the use of our service. We had a number of swag items with one of them standing out throughout the event – boomerangs or… roomerangs as they are officially called. Build was definitely a great event with lots of great speakers, great meetings, great side parties, Windows Phone 8.1 and #cortanacashhaveawesome, plus many many more things. 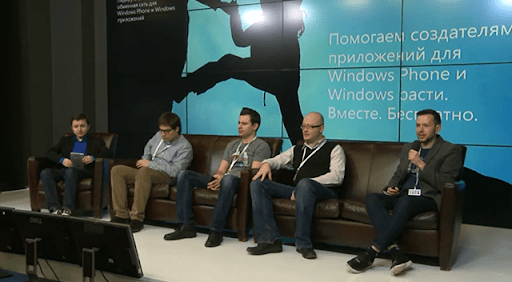 As a side event at Build we’ve participated in a panel discussion on Windows Phone app monetization. The competition for developer attention that night was enormous with at least 5 other side events going on at the same time. So we are really thankful to those of you who came and to Fortumo and PocketGamer for inviting us to participate! At last year’s Build a bunch of participants went on a field trip to Petaluma to participate in Windows Weekly taping. We had meetings that day and were really jealous ever since. So we made it a priority to not miss the opportunity this year. And boy, are we happy we did! 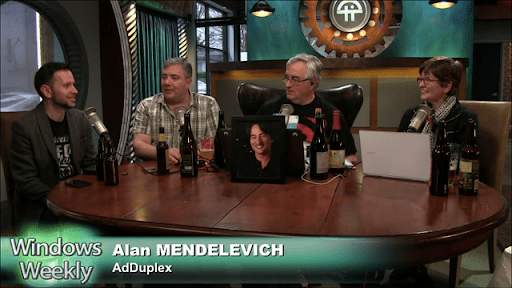 We had great time participating in beer tasting party the greatest show in our industry, got a tour of TWiT brick house operations from Leo Laporte himself and even managed to spend some time in front of the cameras with Paul Thurrott, Mary Jo Foley and Leo. Thanks to Paul for making this happen! You can watch or listen to the show here. And don’t forget to subscribe! AppCampus is a great program supporting development of Windows Phone apps and games and we are happy to be among their partners and thank them for inviting us to speak in front of every batch of their teams. So, even though we had to fly to Finland just 16 hours after we returned from San Francisco, we couldn’t say no and had a great time there. Lots of promising teams and great conversations. (Can’t say the same about the weather). Look out for new hero apps and games coming out of AppCampus! Travelling was a lot of fun, but we are really happy that we have nothing in our TripIt calendar for the nearest future. So we are almost done with our email backlog and ready to get back to focusing all of our attention on delivering new and awesome AdDuplex service and features! Thank you to every one who we’ve met on this trip and let’s stay in touch.